These are some of my other works that didn't make the portfolio cut for a variety of reasons. Whether they are older pieces or class projects that don't necessarily reflect the focus of my work, the projects in this section are there to give a sample of what I've done and learned over the past few years. 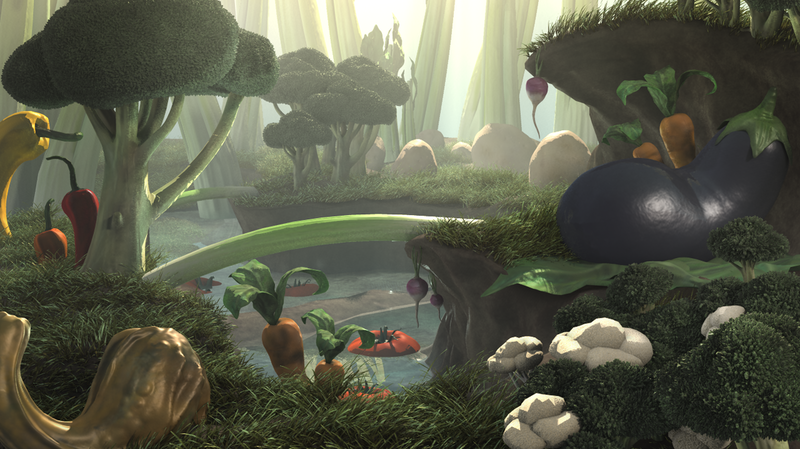 A fantastical valley full of vegetables. Home to all things green and... vegetable-y. 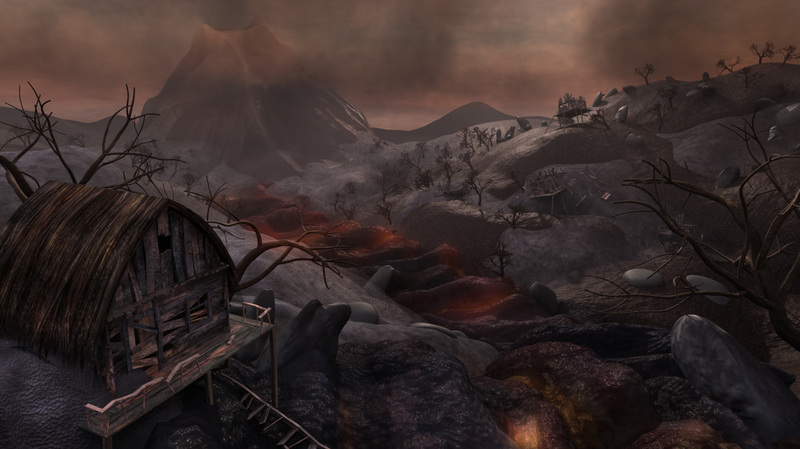 A village inconveniently located near a volcano, before and after an eruption. 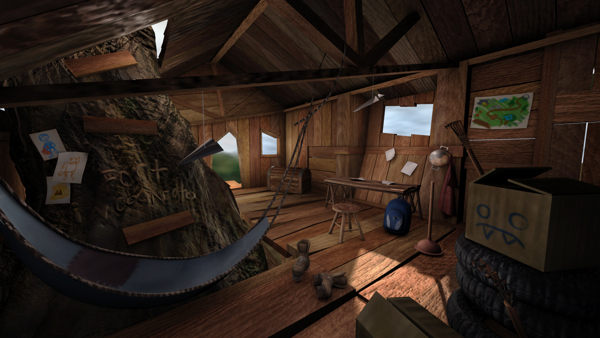 The secret treehouse hangout of a young boy with an overactive imagination named Colby. "Fort IncogNEATO!" is where all of his adventures after school begin. A play on the production of Alfred Hitchcock's Psycho shower scene. 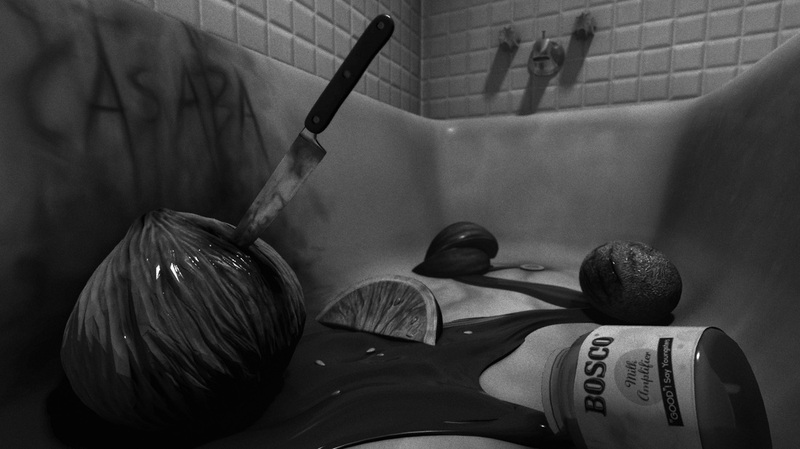 Melons were stabbed to achieve the sound effect of a knife stabbing and Bosco chocolate sauce was used as fake blood. An animation and compositing project about a coffee cup that comes to life -- a character called the Jitterbug. I modeled the cup in Maya based on a Starbucks to-go cup, textured it in ZBrush using Spotlight to paint on some scanned and manipulated photo textures of a real Starbucks cup. 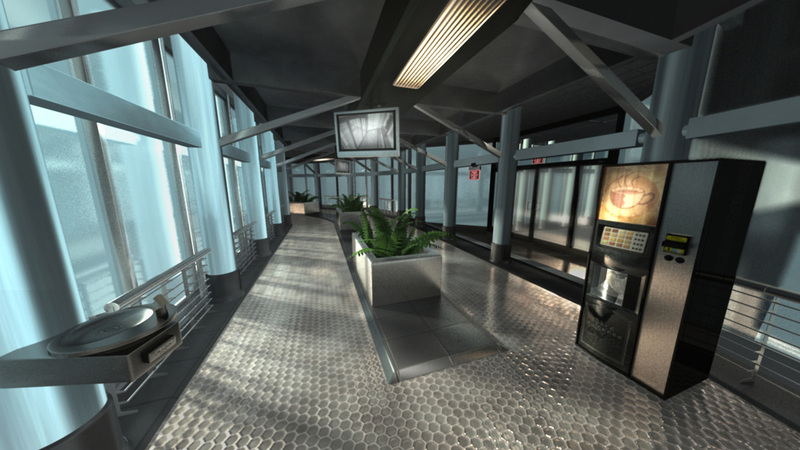 This was also the first rig I created and animated in Maya. I set up several render passes to composite in Nuke and blend with the live action footage I shot. 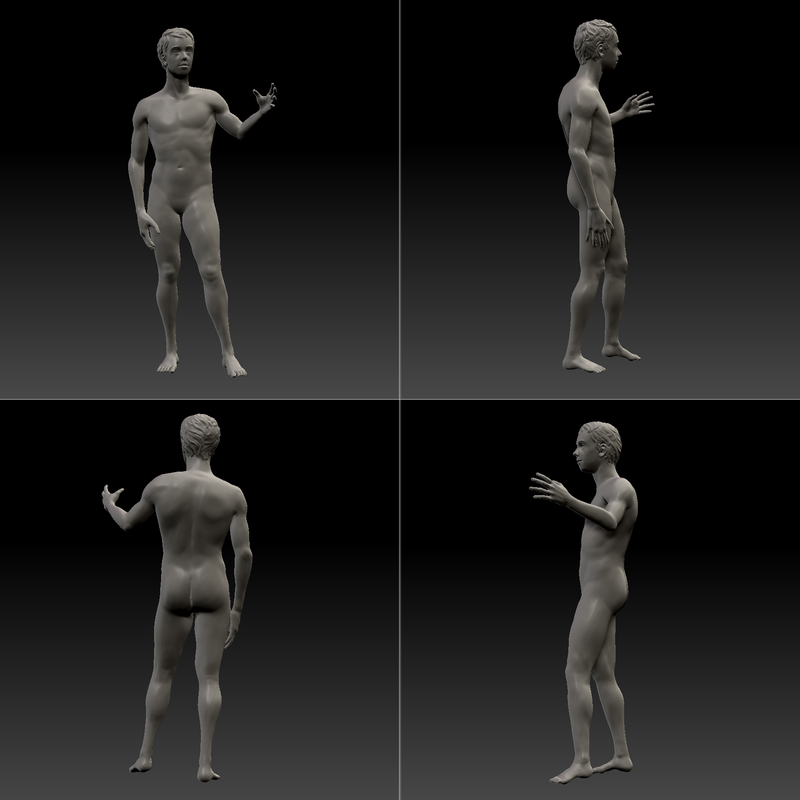 An anatomical sculpture done in ZBrush. 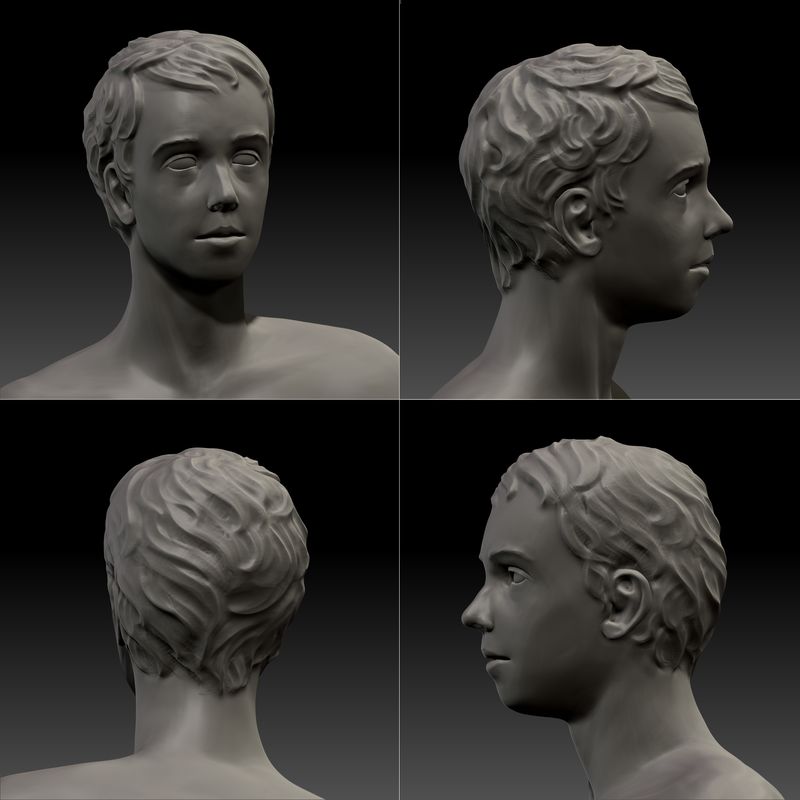 Based partially on reference photos from 3d.sk and influenced by classical sculpture. This project was my first time organically sculpting a finished piece in ZBrush. A digital painting created in Photoshop, inspired by the idea that eyes look like an out of this world, mountainous landscape when viewed extremely closely. 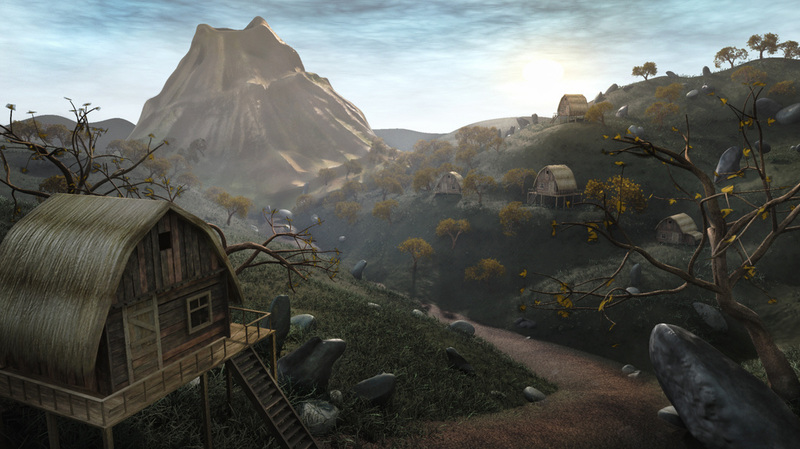 The matte painting turned into an environment flyover, divided into layers and projected onto basic geometry planes in Nuke.